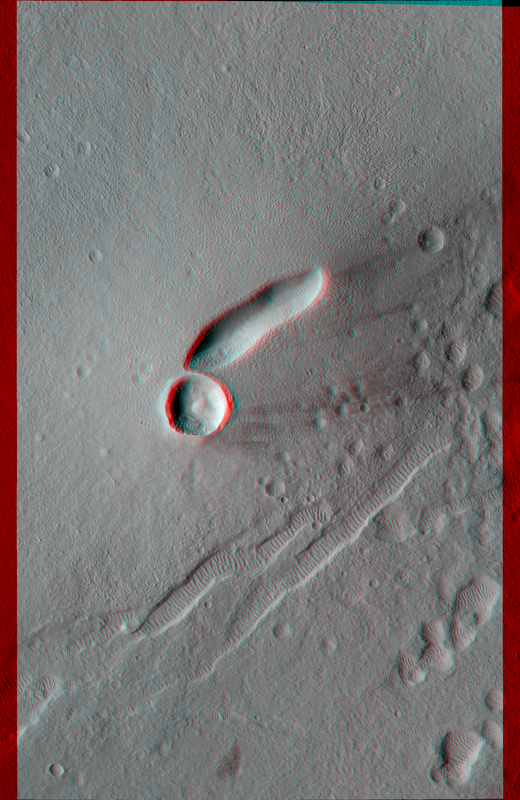 East Mareotis Tholus is a small volcano in Tempe Terra, Mars. 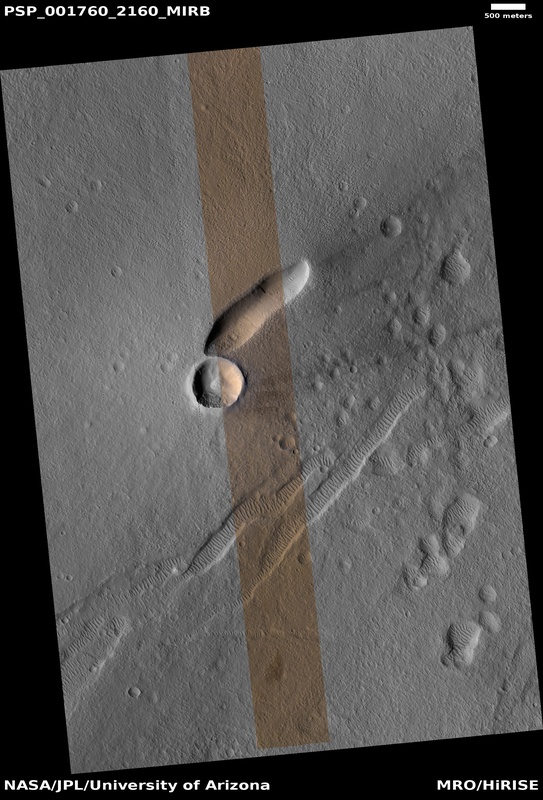 This area is on the northeast edge of the Tharsis bulge that was built up by many large and small volcanoes. 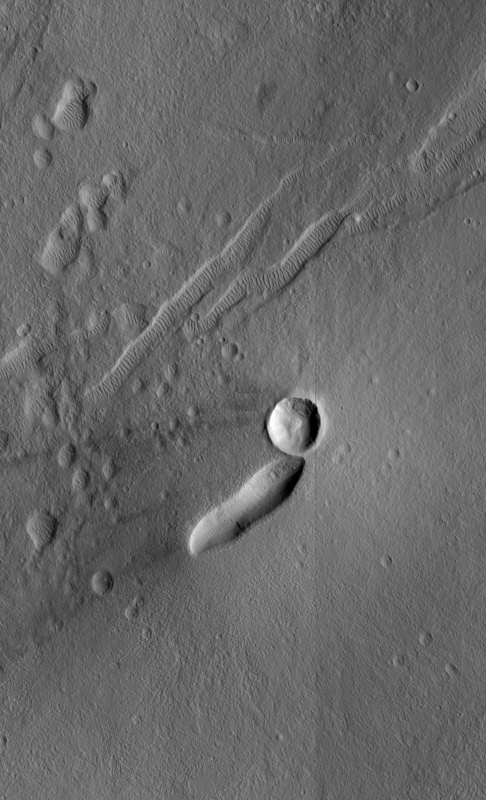 One of the many questions we hope to address with HiRISE is the relative roles of the giant shield volcanoes (such as Olympus Mons) and smaller volcanic features (such as East Mareotis Tholus). 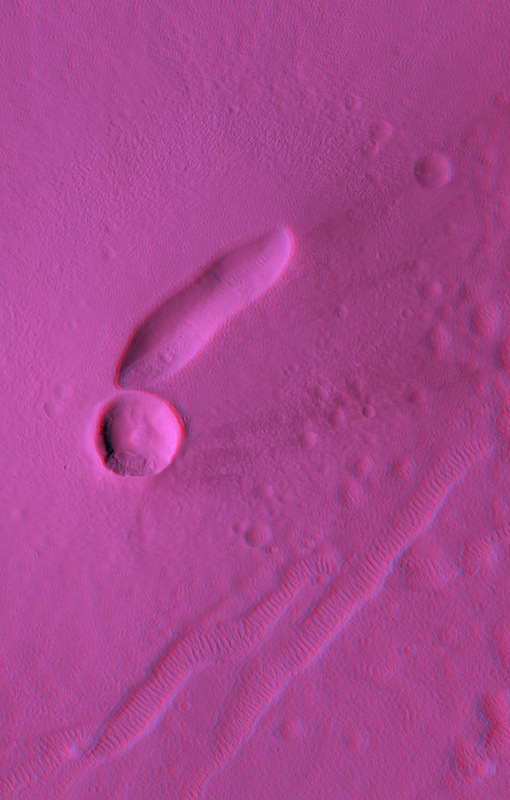 The anaglyph covers 4.4 x 6.9 km (2.7 x 4.9 miles) and the topography can be viewed using red-blue glasses. The elongated pit at the summit of the volcano is where the lava issued forth. The large circular hole just to the SW of the vent is an impact crater. The gouges in the ground to the SE of the volcano are tectonic fissures (called graben) that are now filled with sand dunes. The area is covered with large amounts of wind-blown dust, so it is not surprising that lava flows and other smaller volcanic features are not visible. This is a stereo pair with PSP_001364_2160.